Posted on Sun, Mar 18, 2012 : 5:39 a.m.
As the land of the free and the brave and the self-reliant, America has always had a soft spot for individualists, eccentrics, outlaws and renegades. And no mistake about it, individualists, eccentrics, outlaws and renegades have reciprocated the admiration, popping up in all arenas of American life. American music is no exception. 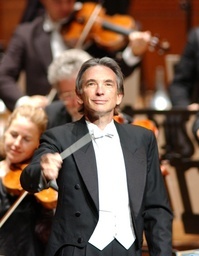 The San Francisco Symphony, led by the dynamic Michael Tilson Thomas (aka MTT), loves America’s musical rule-breakers. Call them visionaries, call them pioneers, call them iconoclasts, whatever you like—the San Francisco is celebrating them in its centennial season with a month-long “American Mavericks” festival. And that festival, in addition to playing in San Francisco, briefly in Chicago, and at New York’s Carnegie Hall, just happens to be coming to a theater near you, courtesy of the University Musical Society. Thursday through Sunday, in three concerts at Hill Auditorium and one at Rackham Auditorium, MTT and the San Francisco offer music of 20th century musical path-breakers like Charles Ives, John Cage, Henry Cowell and Lou Harrison; and they take us up to the present day in this new century with commissions, freshly-minted-for this American Mavericks festival, by John Adams, Mason Bates, Meredith Monk and Morton Subotnick. The concerts, unsurprisingly, are part of the UMS “Pure Michigan Renegades” series; and the orchestra’s 4-day residency here includes master classes, student events, and pre-and post-concert activities—like the chance to ask performers and composers about some of the repertoire, a novelty in the concert hall. Who’s coming to help? The soloists in the San Francisco’s four programs here are a who’s who of who’s new and who’s established in music: pianist Emanuel Ax, composer/musician Mason Bates, pianist Jeremy Denk, soprano Kiera Duffy, organist Paul Jacobs, vocalists Joan La Barbara and Meredith Monk (and Monk’s vocal ensemble) and soprano Jessye Norman. The St. Lawrence String Quartet returns for the new Adams piece, “Absolute Jest,” for string quartet and orchestra. The University of Michigan Chamber Choir finds its place in the firmament in the new Bates piece, “Mass Transmission,” set for opening night. Who: One of America's leading classical orchestras. With Michael Tilson Thomas, conductor; and myriad soloists. Where: Thursday through Saturday, Hill Auditorium; Sunday, Rackham Auditorium. When: Thursday, 7:30 p.m.; Friday and Saturday, 8 p.m.; Sunday, 4 p.m.
How much: Hill Auditorium concerts, $10-$75; Rackham Auditorium concert, $20-$42, through the UMS Michigan League Ticket Office, 734-764-2538, and online at ums.org. For more information on the concerts and surrounding events: Visit ums.org and the San Francisco Symphony’s americanmavericks.org website. What does it take to be a “maverick” in the San Francisco’s playbook? Some of the works on the programs are pushing a century in age—that doesn’t preclude their inclusion on a maverick bill. Here’s an annotated look at some of the repertoire, with comments from some of the composers and performers. Listen up: Tonight’s the night to realize that the Hill organ is more than a magnificent backdrop for the stage. It’s a mighty instrument, but if you’ve only heard it in annual “Messiah” performances, try it again tonight. It’s the star in the Harrison concerto, an unfortunately underplayed piece, says organ virtuoso Jacobs. You’ll hear the organ again in really contemporary repertoire, Bates’ “Mass Transmission,” for chorus, organ and electronica, which will have premiered in San Francisco just a few weeks before the Ann Arbor performance. “Mass Transmission” is new-fangled in its mix of media and old-fashioned in its impetus and inspiration. The first time technology bridged oceans—seemingly eons before Skype—is Bates’ subject here. “It conveyed the warmth of reaching out plus the feeling of the looming technology and the monolithic building,” he said. The first and last movements of this 20-minute work use these wireless texts; the central movement sets text from a girl who lived in Java as she describes the sights, smells and sounds of living in the jungle. The result, said Chamber Choir conductor Blackstone, is stunning. If the organ gets a workout opening night, its cousin the piano is hardly neglected. The program begins with Copland’s “Orchestral Variations,” which the composer based on the piano variations he wrote in 1930. In Cowell’s Piano Concerto, soloist Jeremy Denk, a superb pianist (and blogger) taps into the far-flung imagination of Cowell’s signature “tone clusters” played with the forearms. Listen up: It’s hard to pick the centerpiece of this concert. Cage may not be everyone’s cup of tea, but these selections from his “Songbooks,” produced with lighting and projections derived from Cage’s own drawing and paintings as well as images suggested by the texts, could be the highlight of this bill—especially given the participation of La Barbara, Monk and Norman, three stunning singers inhabiting very different vocal realms. Or maybe the highlight will be Adam’s “Absolute Jest,” a SFS and Carnegie Hall co-commission, written for the orchestra’s centennial season. The work is based on fragments of scherzos from Beethoven’s string quartets and features the St. Lawrence String Quartet. Christopher Costanza, the cellist of the St. Lawrence, said the piece is indeed quite a ride. It’s fun for listeners who hear the Beethoven quotes—and it’s a challenge for the quartet to remember to play the Beethoven snippets in the Adams’ versions, which alter the rhythms and note values of the Beethoven originals the quartet knows so well. Listen up: Mavericks can think small and dream big, as this concert, with 17 SFS musicians and a stellar cast of soloists, shows. Two of the works, Subotnick’s “Jacob’s Room,” and Monk’s “Realm Variations,” premiere in San Francisco just a few weeks before the orchestra brings them to Ann Arbor. “Jacob’s Room” (which Subotnik has presented in other incarnations) is a chamber opera featuring La Barbara with keyboard and strings. It takes its inspiration from texts including Plato, Moshe Kohn, Alicia Partnoy and Virginia Woolf, among others. In Monk’s “Realm Variations,” she and her vocal ensemble pair up with musicians from the SFS for a new work divided into three distinct realms that interweave as the work progresses. Duffy, a terrific young soprano whose star is on the rise, brings her silvery voice to Del Tredici’s “Syzygy,” which sets texts of James Joyce.